The New York City Police Department is looking for the boyfriend of a city subway conductor who was found shot to death just one block away from her Brooklyn, N.Y., home Monday. 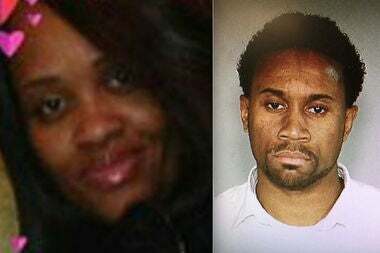 According to CBS New York, police want to question 44-year-old Zire King about the death of 41-year-old Jacqueline Dicks, a mother of six. Dicks was shot dead while she was on her way home from work at a nearby subway depot, police said. Initially it was believed that she was attacked by three men, but Chief of Detectives Robert Boyce revealed that investigators uncovered a video showing the street where Dicks was killed. and what was witnessed did not really mesh well with King’s claim that a couple of cars and suspects shot her before speeding off. “There was no three males running in the street with hoods up, there was none of that,” Boyce said Wednesday. King had told police that he dropped Dicks off after work and then got out of his car and went to the store. Boyce said that he believes the killing to be the result of a domestic dispute. The couple, he said, had been together for five years and had recently bought a home and had a 4-year-old son together. Tatiana said that she wants to ask King why he “had to take my mother,” who also had three grandchildren, including Tatiana’s 1-year-old daughter. According to DNAinfo, police plan to charge King with second-degree murder. Read more at CBS New York and DNAinfo New York.